Pan Bagnat is the ultimate make-ahead picnic sandwich! Find some crusty bread, good quality canned tuna, a few choice toppings, and you're on your way. It seems fancy, but this French tuna sandwich couldn't be easier. This French picnic sandwich, pan bagnat, is your new best friend for any outdoor excursion. You can—and should—make it ahead. It’s supposed to be a little soft and squishy on the inside from the tuna fish and olive oil soaking into the bread. It is, well, magnifique! Where does pan bagnat come from? Pan bagnat is to the area around Nice (in the French Mediterranean) as muffuletta is to New Orleans. You find the sandwich on every corner—in bakeries, markets, and even in stands by the beach. Traditionally, it is made with round crusty rolls, but you also find it prepared in baguettes or big round loaves, which are cut into individual slices. It is basically a Salade Nicoise in a sandwich, but oh, what a sandwich! What is a pan bagnat, exactly? Canned tuna, anchovies, olives, tomatoes, onions and hard-boiled eggs are a few of the standard ingredients, but this sandwich can be a catchall for any others you might have around. Try adding thinly sliced fennel, leftover green beans, radishes, cucumbers, fresh herbs, sweet peppers and red peppers from a jar—just a few of the possibilities! You could even substitute leftover fresh tuna or salmon for the canned tuna. The hallmark of this sandwich is its very sogginess: The bread is doused with olive oil before being filled, and then pressed so that it absorbs all the juices from the tuna fish and other ingredients. This makes a delicious concert of ingredients that marry together as the sandwich sits. Crusty bread ensures that the insides are soft but outside of the bread stays firm. What’s the best kind of tuna to use? I vote for canned tuna fish rather than fresh tuna in this sandwich (and in Salade Nicoise as well), but only if it is packed in olive oil. Water packed tuna is, of course, lower in calories, but it is also a little drier than tuna in olive oil. In contrast, tuna packed in olive oil is tender and moist, and the flavor of the tuna really shines. You can drain some, but not all, of the oil if you like. Just don’t press it all out, since it is very flavorful. If I am feeling like a splurge, for a few dollars more I buy Tonnino tuna in a jar. I especially like the lemon and pepper version. I love it in both this sandwich and in Salade Nicoise, which is my go-to supper on a summer night when the fridge is bare but I still have some tomatoes, olives, and eggs on hand. The best choice for this sandwich is a crusty loaf. When working on this recipe, I was able to find some 10-inch long baguette-style loaves, which are ideal for the sandwich since each loaf could be cut in half to make two sandwiches. A large round loaf that is about eight inches in diameter would also work. In other words, any crusty loaf that looks like it would make four sandwiches will work (or even similarly crusty rolls). Hollow out some of the insides of the bread, leaving a space for the ingredients. Hardboiled eggs are pretty straightforward—if you happen to have a few on hand, just slice them to add to the sandwich. For easy-peel hard boiled eggs, be sure to steam them or make them in the pressure cooker. My husband was a little leery of them in this sandwich, but commented on how they added an almost creamy texture to the filling. I like to cook a few extra for snacks or to take with me on days when I run out the door without breakfast. Raw onions of any kind can be takeover artists in any sandwich, dominating (and for me, ruining) all the other ingredients. There is a solution! Soak them in cold water to leach out the enzymes that convert to pungent compounds. Do this within seconds after an onion is cut. Leave them in the water while you assemble the other ingredients and give them a quick rinse, which puts them in their place as team players, but they still retain some crispness. I prefer red onion here and that’s the usual one used because I like the color, but you could use a sweet Vidalia onion or a plain yellow onion if you like. Now add some salty stuff! Anchovies, capers, and olives add a lot to the sandwich, but you can use them at your discretion. Small, pitted Nicoise olives are my favorites for their mild saltiness, but these finer points should be determined by what’s available to you and what you like. Once you have the ingredients assembled, now comes the fun part. Brush the tops and bottoms of the bread with olive oil, sprinkle with salt, pepper and a little vinegar and pile on the fillings. Then wrap the bread tightly in plastic wrap and weigh it down with something heavy, such as a cast iron skillet with a few canned goods placed on top, or your heaviest pot. Press the sandwiches for about 10 minutes, turn them over and press for another 10 minutes. Then cut through the plastic wrap with a sharp or serrated knife, and you are ready to go. Your pique-nique awaits! Pack your basket with these sandwiches, a bottle of chilled French rosé and lots of napkins. Bon appetit! Instead of a baguette, you can also make this sandwich with one 8-inch round crusty loaf. If you want to make the sandwiches a day in advance, store them in the refrigerator overnight before slicing and bring them to room temperature before eating. For extra fun, wrap each sandwich in parchment and tie with string. 1 Soak the onions: Place the onion slices in a bowl and cover with cold water. 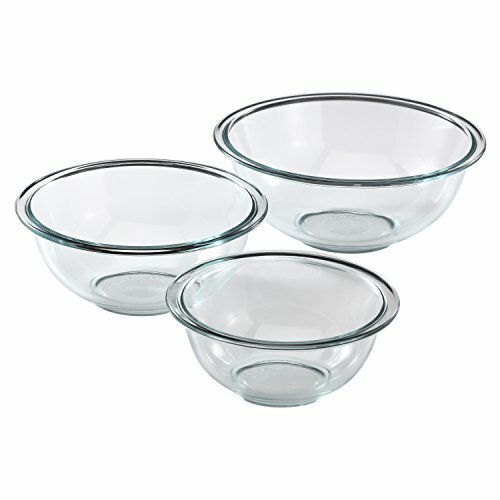 Let them soak for at least 10 minutes or up to 30 minutes at room temperature, while you prepare the sandwiches. 2 Make the sandwich filling: In a bowl, combine the tuna, its oil, anchovies, olives and 2 teaspoons of red wine vinegar. Stir gently to keep from mashing the tuna chunks. 3 Prepare the bread: Slice the baguettes along their length to separate the top from the bottom. Remove some of the soft crumb inside the top and bottom of the bread to make room for the filling. Rub the insides with the garlic clove. Brush with olive oil and sprinkle with vinegar, salt, and pepper. 4 Fill the sandwiches: Distribute the tuna mixture evenly in the bottoms of the baguettes. Top with the red onion, eggs slices, tomatoes and basil. Drizzle with more olive oil, and sprinkle on salt and pepper. Top the sandwiches with the tops of the baguettes, and wrap each tightly in plastic wrap. 5 Press the sandwiches: Place the wrapped sandwiches side-by-side on the counter and set a cutting board on top. Place a heavy pot or skillet on top, and place a few canned goods inside to weight it down even more. Press the sandwiches for 10 minutes, turn them over, and continue to press for another 10 minutes on the other side. 6 Slice and store the sandwiches: With the sandwiches still wrapped in plastic, use a serrated knife to cut them into individual servings. The sandwiches are ready to eat now, or they can be packed into a picnic basket or lunch box and eaten within about two hours from now. The sandwiches taste best at room temperature. Hello! All photos and content are copyright protected. Please do not use our photos without prior written permission. If you wish to republish this recipe, please rewrite the recipe in your own unique words and link back to Pan Bagnat (French Tuna Sandwich) on Simply Recipes. Thank you! looks like one hell of a divine sandwich, thanks a lot for sharing the recipe! I’ve eaten this sandwich many times in France. This isn’t exactly the same, but as far as I’m concerned it’s close enough. Delicious! Thank you so much for a recipe I’ve always regretted not getting.